We are blessed with many things here at Carpenter’s Place, but chief among them are the volunteers that continuously go above and beyond to make a true and lasting impact on the lives of our guests. Each one approaches giving and service to others in a way uniquely theirs and always from the heart. For example, longtime volunteer Sue Setter is known for her love and talent for the arts. She can regularly be found in the art room working on projects with guests. These bracelets make great gifts for loved ones. Some have even been known to give them away to a complete stranger after a meaningful encounter. It serves as a reminder that you count them as a blessing in your life, while also serving to encourage the wearer to be present and grateful for the blessings in their lives. Gratitude allows us a readiness to show appreciation for and to return kindness. Let this beautiful bracelet to serve as a tool to spread kindness. 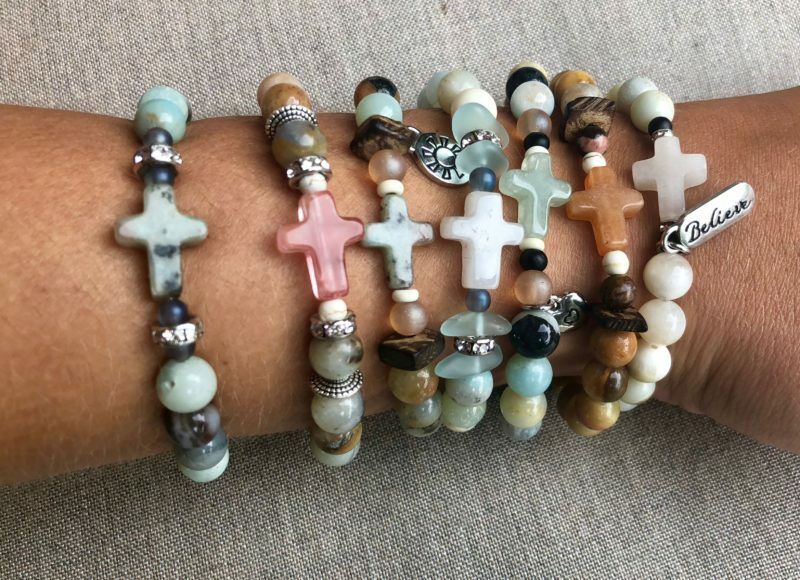 Each bracelet is $25 and 100% of the sales go directly to our women’s housing program. Join us for this year’s event. Individual tickets are $40 and include a delicious lunch prepared by our friends at Giovanni’s; not to mention the incredible silent auction!! Tickets can be purchased online > click here.